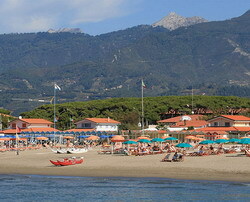 Forte dei Marmi is one of the best known and most popular resorts on the Tyrrhenian coast. 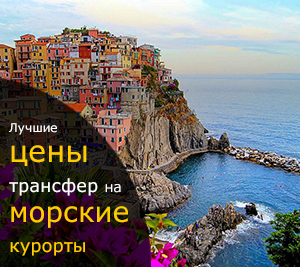 The diplomats and business people, entrepreneurs and representatives of the aristocracy, artists and actors come here from all over the world. It is just right here the famous festivals such as San Francesco and Sant`Ermete are being held. It is just right here the largest antiques market is located, it is just here the street market is being arranged on the Victoria Apuana square and the Marconi Square. In other words, you will never get bored here, cause every minute spent at Forte dei Marmi can become your best memory. So do not waste time for other things except of having rest. For example, you can replace the minutes and hours spent for transportation waiting by a comfortable ride in a good and safety car if you take care about booking beforehand a transfer service from the airport to the hotel in Forte dei Marmi from our company. We are also ready to help you to get from Forte dei Marmi to the airport on your way back so that you could bring home only positive emotions, experiences and memories .